Scorpion Training Solutions/GEM College e-learner students are provided with access to the GEM College Online Campus. We offer a mature and simplistic data platform, where you can complete your study and assessments for most of our courses online. The login will be provided by our staff after you complete the enrolment process. This Online Campus provides you with an OnScreen Guide, a digital copy of the comprehensive Learner Guide and the Assessment Guide for each course. You will have direct contact with your appointed Trainer and/or Assessor, who is able to track your progress whether you are in class, at work, or studying at home. Please note we fully support you throughout your course. We stand behind our commitment to our full integrity and offer genuine support to you. You have access to discuss questions, information and assessments with our friendly and knowledgeable Trainers by email, phone or personal appointment. This service is included in your fees so make use of it! 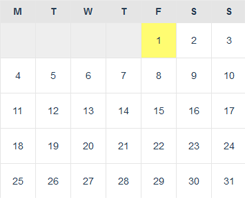 Please select your preferred course date from our course calendar. If you have any questions about any qualification that Scorpion Training Solutions or the wider GEM College network can offer you, in Australia or offshore, please contact our friendly staff via online enquiry form, email, or by phone on (08) 9358 1116. Our range includes health and safety courses in Perth and business courses online.